Hallways are easily one of the most under-decorated areas in the home. This is simply because most people are wise enough to know that it's best to keep a hallway or corridor as clear as possible. After all, nothing quite makes your home feel small like a cluttered hallway. But this doesn't mean you can't create a hallway with a unique look all of its own. Even if you only have wall space to decorate, there are lots of ways to style up the hallway. Don't believe us? Well come with us to check out 11 unique hallway ideas. We have lots of options for those with homes small and large! This sleek and chic hallway arrangement is a brilliant way to keep coats and shoes out of sight whilst retaining some style. The wardrobe is cleverly compartmentalised so there's a spot for everything, ensuring an organised and uncluttered entrance. This little hallway has just a few elements but it's got a really unique feel. Check out the little row of postcards adorning the brick wall. 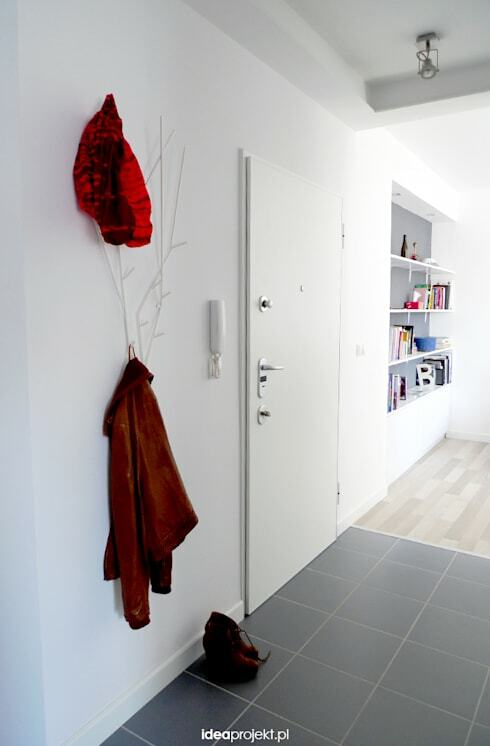 This hanging coat rack is white, fine and the tree-like design gives it a whimsical feel. It also blends into the background and keeps this all-white interior feeling bright, light and easy. 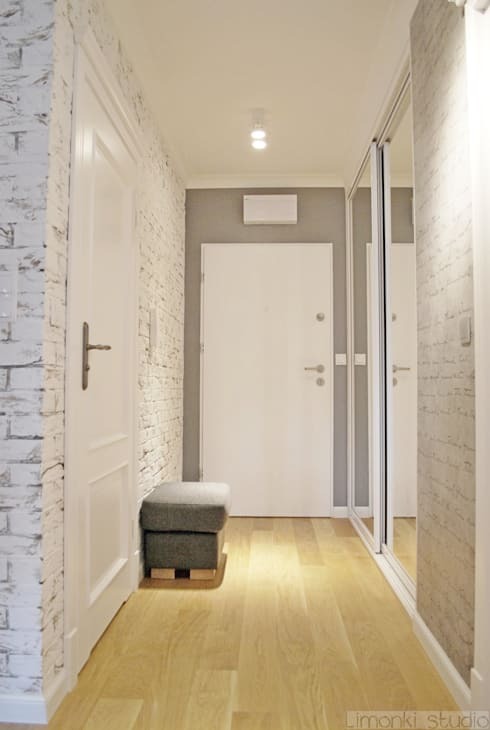 This little hallway has a very modern and sophisticated feel. The glossy white finish of the super narrow modern side table helps keep the space feeling bright and open. It's been teamed with a hanging pendant light that doesn't take up any floor space. Lots of small homes have a front door that opens directly into the living room. But there are lots of way to make a hallway out of nothing with some clever furnishings. 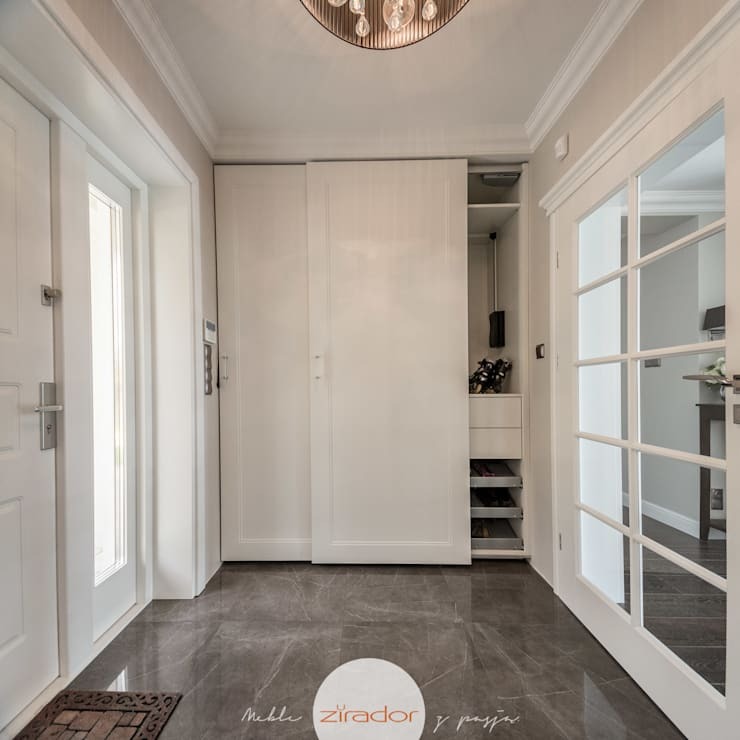 We love this hallway because the interior designers and decorators have used a mirror and a side table to create the impression of a separate space. Lots of hallways are lacking in natural light and this makes them feel cramped and unwelcoming. But with some great lighting and smart use of furnishings all that can change. 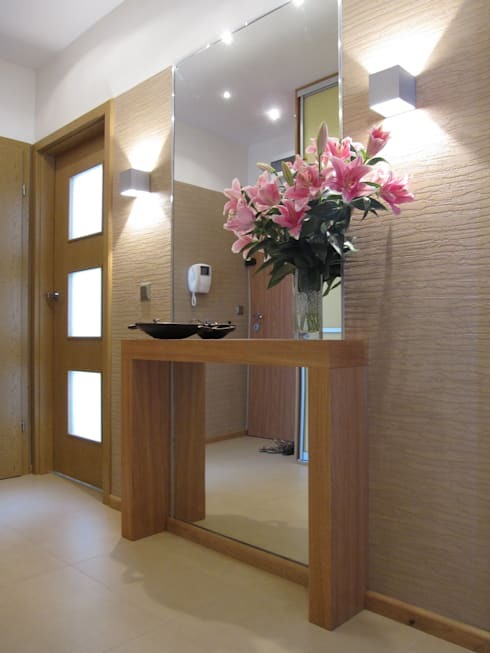 See how a simple comfy stool and a few mirrors and some great lighting can make a powerful impression. Note how the mirrors reflect the beautiful white brick wall too. This wide hallway has space for an internal garden! If you don't have the space for something as elaborate as this, consider setting up a little dry pebble garden or a collection of houseplants. This is another little hallway that is little more than an illusion of space. Nevertheless it's a powerful look. We love the hot pink stool and dramatic black paint. Note how the pink hue is reflected in the floor mat and detailing on the coat rack. 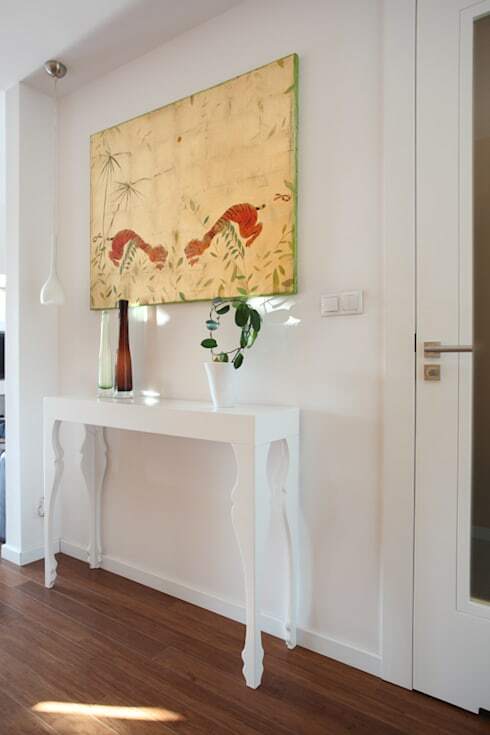 This elegant hallway has a floor-to-ceiling mirror placed behind a side table. The great wall-mounted lights and blooming flowers complete the fresh and refined effect. 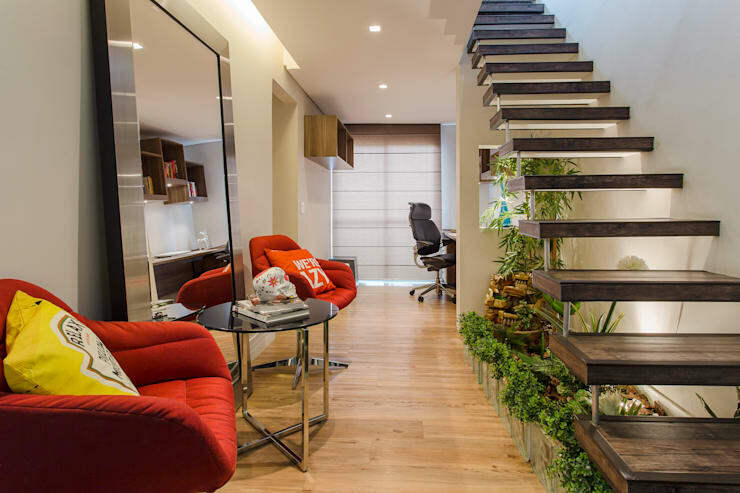 If you like homes with a Zen feel, you'll love this modern Asian hallway. 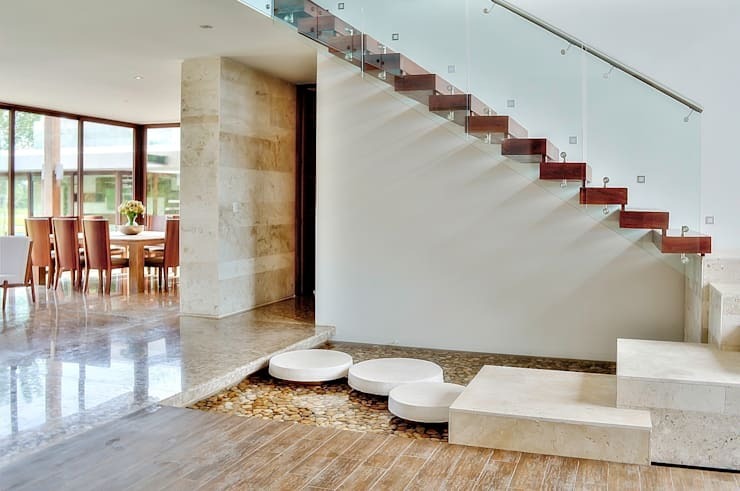 The internal pond is definitely a luxurious touch and we love the stepping stones. Perhaps you could even add some lucky fish as well! 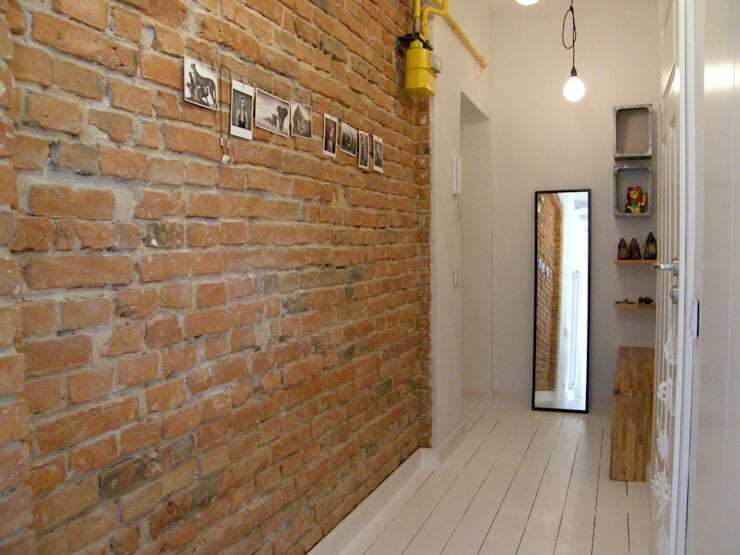 This small home has a tiny hallway, but the geometric wall mirror defines it as a separate space. It's also been cleverly used to help establish the scheme in this Scandinavian-style home. 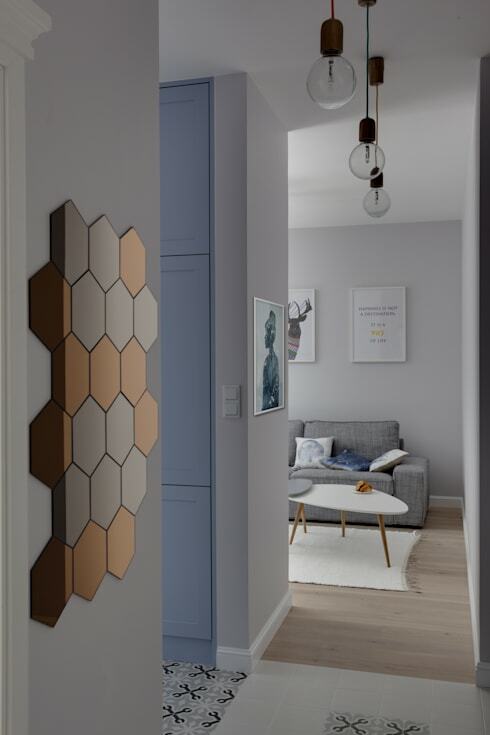 Hallways often work well with neutral colours, so for more inspiration check out: 11 homes that prove there's nothing bland about neutrals. Which of these hallways is your favourite?